Save $75 Off Your $600+ Spend! Right now you can save $75 off your booking of $600 or more at Avis.com. Save $25 Off Your Booking of $175 or More! When you booking totals $175 or more, you can use this coupon code to take a full $25 off your order. Use this promo code to save $15 off your $125+ order. Save up to 30% Off Rentals! Take up to 30% off your car rental for rate when you use this offer code at checkout. This promotion is valid until March 31st. It pays to pre-pay! When you pay for your car rental from Avis up front you will save up to 30% off of the posted rental rate. Enter this AWD (Avis Worldwide Discount) code when reserving your vehicle to get up to 25% off, and 5% of the cost of your rental donated to the Make-A-Wish foundation. Amazon customers will get 10% of their rental rate back in the form of an Amazon gift card. Enroll in Avis' small business program and get savings of up to 30% off of the regular rentals rates. If you are an AARP member you can use this AWD code to take up to 30% off of your rental from Avis.com. Rent SUVs for as low as $39 per weekend day or $259 per week when you use this coupon code. Instead of taking a taxi get a one-way car rental from Avis, either from the airport to another Avis location or vice versa. Get a free tank of gas and 150 miles. Enter this AWD when making your reservation to get the third day for free on your weekend rental. Avis has several AWDs available that work similarly to coupon codes. They don't apply to all rentals, but they may work for yours! Depend on how much your reservation is for, this AWD code may be the better deal. This Avis Worldwide Discount code is valid for up to 35% off of select rentals. Another AWD that will get you up to 25% off of base rates. Use this AWD to take 25% off of your order. For rentals with a base rate of at least $125, this AWD code will take $15 off. Splurging and going for a premium rental? This AWD will save you $15 on the base rate. Get 30% off of your car rental when you use this AWD when making your reservation. Avis Preferred is a loyalty program that will save on your rentals, and get you perks. Take $75 off of your long term rentals with this AWD code. Limited time only! Take up to 40% off the base rate with this AWD. Rent a car for a week and get the 5th day for free! Some restrictions apply. Enter the AWD code on the Avis website when reserving. This AWD gets you a weekend day rate of $25, or rent for the whole week for just $209. Enter this AWD when making a reservation to take $25 off of base rates making a weekly rental just $175! Visiting Europe this summer? Use this AWD for 30% off your vehicle rental at select locations. Remember, they drive on the other side of the road in some countries! 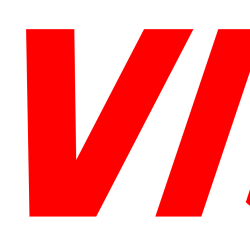 The Avis Car Rental company was started by William Avis back in 1946 at an airport in Detroit and was seeded by an investment of $85,000. By 1953 they had expanded their operations to many more airport locations and had opened up franchises in Europe, Canada, and Mexico. The following year (1954) William Avis sold the business to Richard S. Robie, a Boston area financier, for 8 million dollars. Not a bad return on investment! Although the company continued to grow at a huge rate over the next 10 years they were always second fiddle in the car rental game, with Hertz being number one. In 1956 they debuted the ‘We Try Harder’ marketing campaign, which is to this day recognized as one of the most clever and effective marketing campaigns of all time. It paid off and an 1965 the company was sold again for 51 million dollars. It would be sold again in 1977 for $174 million. Not bad at all for a company that started with one location at Willow Run Airport. Today, Avis is operating in more than 165 countries and has over 5,500 locations at airports and in all major cities. They are recognized to be one of the top brands in the world in terms of repeat business and customer loyalty, really living up to the ‘we try harder’ slogan. Part of the reason is that the company became employee-owned in 1987 after being sold multiple times in the 70’s and 80’s. When you are also a shareholder, you are definitely invested in the company doing well! Their company goal is to make the car rental experience as stress-free and smooth as possible so that you can enjoy your vacation or get down to the business that you need to attend to. Avis.com guarantees that they will have the best posted rates for renting their cars online. If you find a better qualifying rate at a travel booking site you can let them know and they will not just match it, they will also give you an additional 10% off of your rental. There are a couple of stipulations, you must book your rental at least 72 hours in advance of the pickup time, and the comparison rate needs to have been valid within 24 hours of booking your rental with Avis. So for example if you find a really great promotion from 3 years ago on another website, unfortunately they will not be able to match that price. The booking also needs to be for the same type of rental, so you can’t ask for the rate of renting a 2-door economy class vehicle at a when you will be renting a 12 passenger van. Unfortunately, they can not match prices that are discounted because of coupons or group rates, and the guarantee does not extend to competitor pricing. The rental can also not be included as part of a vacation package (ie. bundled pricing for flight, hotel, car rentals, etc). Whatever your rental needs are, Avis has a vehicle that will fit your budget and get you where you need to go!